Textiles, art, and jewelry. Affordable luxuries from India. 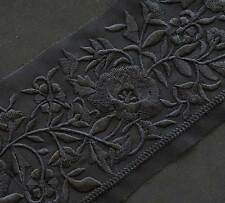 Including sewing trims and sari borders. 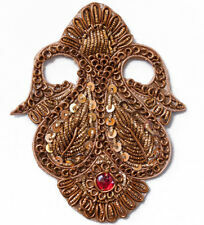 Bullion for metal-thread embroidery. 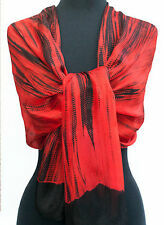 Wool and silk shawls. Silver and lakh jewelry. Importing quality goods, in the tradition of the historic East India Company. 2 Yards. 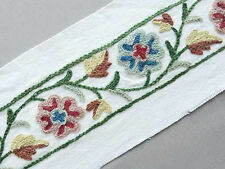 Wide, Hand Embroidered, Crewel Trim. Wool Embroidery on Cotton Duck. Large, Superior, Jamavar, Paisley Shawl. Heavy & Detailed Throw Pashmina 40"x80"
Silk Warp Cotton Weft Blue Turquoise & White Ikat Hand Woven Soft Fabric 44"
Shades of Blue Royal Blue Turquoise Reversible Paisley Jamavar Silk Shawl 77x29"
Celtic Rose Gold Renaissance Faire Trim Thick Metallic Braid 3 Yards Ribbon 3/4"
Red French Reproduction Fabric. 2½ Yards, Hand Block Print Cotton. 44" Wide.